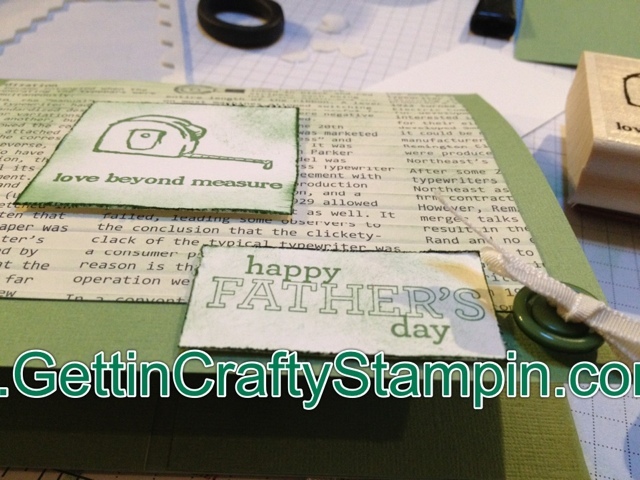 Getting Crafty with Jamie: Happy Father's Day! We rarely appreciate what we have until it is gone... This is another time of year that I come to think upon, remember and miss my father. He was far from perfect but he was mine (well, I shared him with two older sisters an a younger brother lol). As I mulled this year and creating a card for my hubby and father-in-law I knew to start with green (my hubby's favorite color ~ the color of life, he says). I struggled with a gift for them, having secured a bit of art for my hubby's office and then I facebooked my "daughter" (she was an exchange student from Italy that lived with us for a year). My father in law rarely listens to much that's not on the Italian tv and my hubby loves Italian music. So, Marica made some suggestions for music (Laura Pausini and Tiziano Ferro) and I ordered on iTunes their most recent CDs and burned them each a set (with my step daughter Gloria's help). I created this card to celebrate them on this Dad's day. I hope you enjoy. 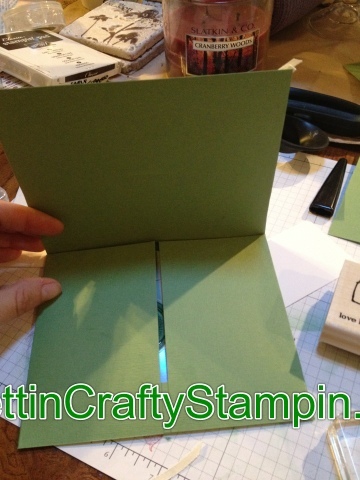 I started with a 12x12" Garden Green cardstock. I scored it in half with our Simply Scored board I then scored it around (a PDF will be created on this down the line). I created a lil pouch to hold these CDs and then embossed the DSP Newsprint with our lined folder thru my Big Shot. I sponged garden green to highlight the lines. 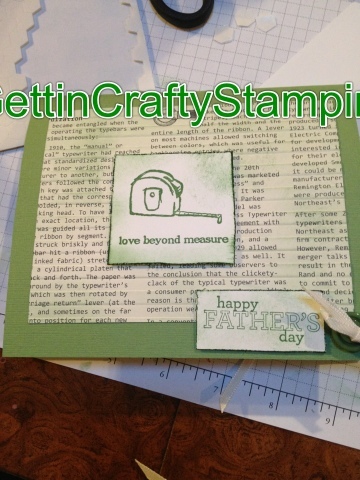 I stamped the "love beyond measure" that synchs with the lines. A Happy Fathers Day and a button and ribbon accessory. It's a cute 5x6" card and I hope the men will enjoy a bit of Italy/home to listen to. The Simply Scored really aided creating this card quickly, easily and without a template. Cool! Remember that today is a special day and to honor those men in our lives (from a dad or gpa to a favored uncle).